Miranda is a Render Controller Suite that I wrote. It began life when I worked at Traveling Pictures around 1999. We had the beginnings of a render farm, as series of computers designed to “divide and conquer” large computer graphics projects and were attempting some of the first photoreal 3D/CG cars. We used Houdini and Lightwave for our 3D work at the time and the render controllers at the time were either too limited or too expensive. 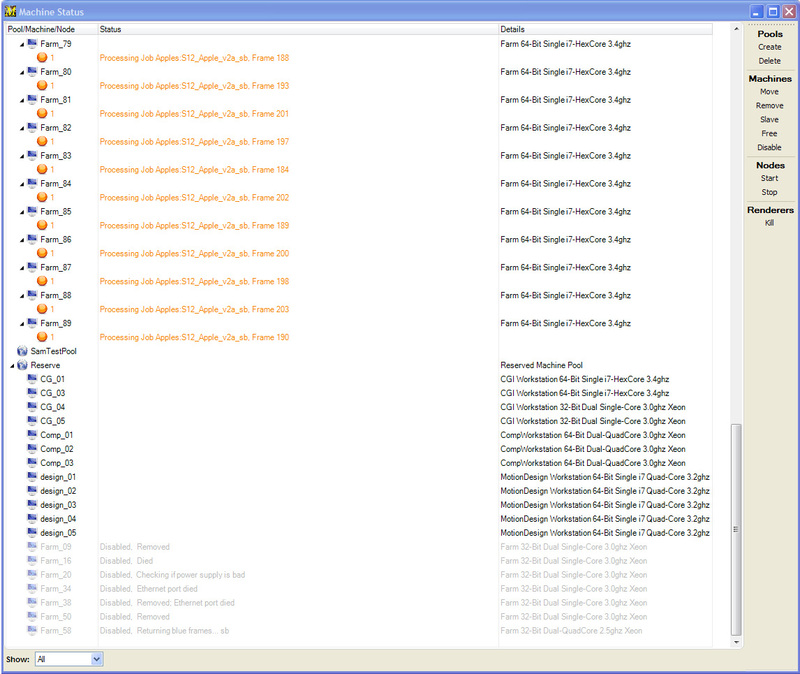 Having written a lot of code over the years I took it upon myself to write a render controller in my spare time. Since it was mainly for the Houdini renderer I called it “Harry”. 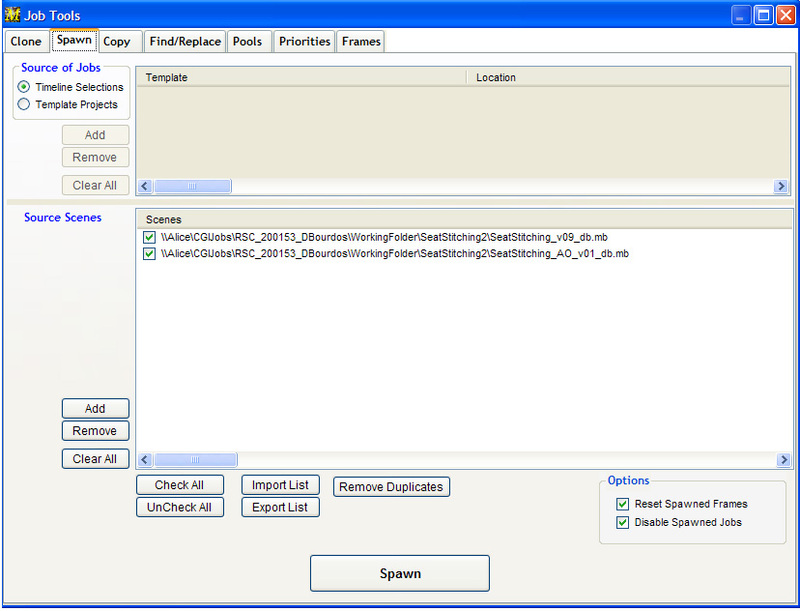 Harry used a simple watch folder system for frames at first–anything placed into a folder named “waiting to render” would render. As I spent more and time on it, it evolved into a more capable system with priority/precedence based queues. 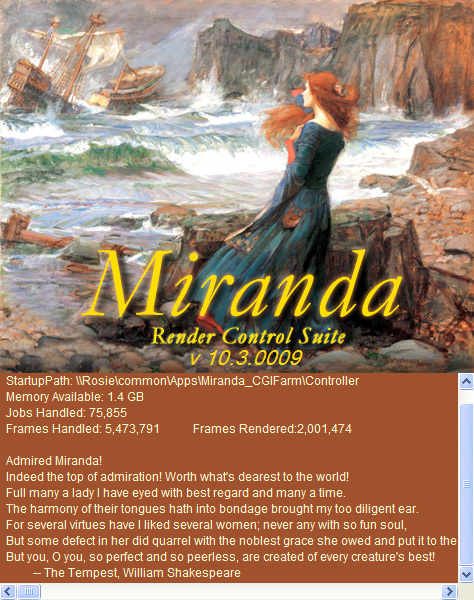 About a year later we began utilize renderers other than Houdini’s so I changed the name of the system to “Miranda”. 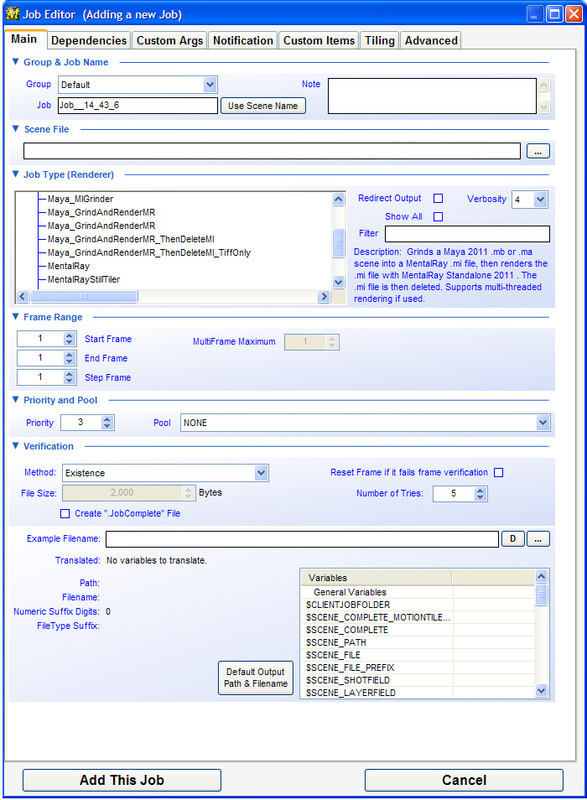 What makes Miranda different from the other render controllers (there are about 12 out there as of this writing) is that it is designed with an overview of all jobs in the system at once. 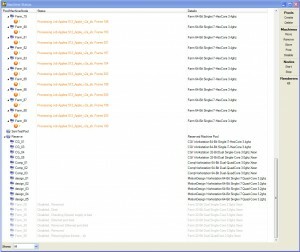 All other render controllers are “job-centric”–meaning that they can show you lots of info on any single job. Miranda show the status of every frame in every job all at once (provided you have enough screen real estate) giving you an overview of the entire facility. Miranda manages up to 400 machines and about 100 jobs very well–she was designed to give maximum control to multiple people in a medium-sized facility and works very well. 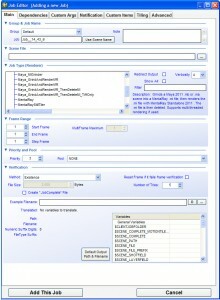 It’s interface, a Timeline showing every job and frame in those jobs is still unique among the field. It is my longest running personal project and remain in constant use on two render farms at RingSide Creative and is always under continuous review for new features.